The Staff of Curti's Landscaping, Inc., consists of some of the most experienced and knowledgeable people in the profession. Employee turnover is one of the lowest of the industry in our service area. Many of our foremen and crewmembers have been with us for over ten years. 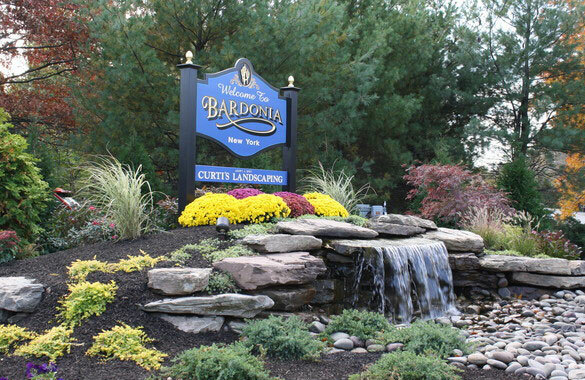 The Staff of Curti & Associates, Ltd. is comprised of highly skilled landscape designers and competent craftsmen. Our team's diverse expertise enables us to design and implement a wide variety of projects and to take them from Concept to Completion. Our employees have honed their skills at a variety of institutions of higher learning, such as Virginia Polytechnic Institute, Cornell University, and The New York Botanical Garden School of Horticulture & Landscape Design. Everything we have accomplished has been under the direction of Wm. Scott Curti, CLT (Certified Landscape Technician). The prestigious CLT designation is awarded by the Associated Landscape Contractors of America (ALCA) and effective operation of machinery and showed a thorough understanding of all facets of the position of an exterior Landscape professional through the National Association of Landscape Professionals (formerly PLANET). He is one of only four contractors in Rockland County to earn this designation. We are dedicated to continuous and diverse training for all our staff and pride ourselves on the many seminars they have attended and certificates of excellence they have earned! Scott is the president and owner of Curti's Landscaping, Inc. and Curti & Associates, ltd. Scott began to cut lawns in his sophomore year of High School- even purchased his first truck prior to obtaining his driver's license and paid his older friends/"employees" to drive so that he could keep his growing base of customers satisfied. Scott formally founded Curti's Landscaping, Inc. shortly after graduating High School in 1991. At this time, mainly focusing on lawn maintenance, first cutting then adding chemical and other maintenance services he was fortunate enough to rapidly grow to service over 100 customers per season. Curti's Landscaping, Inc. currently provides Full Service Grounds Maintenance programs to a combined 300+ residential, commercial, corporate and industrial clients. In 2003 Scott earned the international recognition of Certified Landscape Technician- (CLT) establishing credentials by demonstrating mastery of a body of knowledge recognized as the international standard. Scott met standards for safe and effective operation of machinery and showed a thorough understanding of all facets of the position of an exterior Landscape professional through the Professional Landcare Network (PLANET). He is one of only three contractors in Rockland County to earn this designation. Scott is one of the most dedicated young professionals committed to improving the landscape industry throughout Rockland and its surrounding areas. This was recently recognized by the Rockland Economic Development Corporation as Scott was nominated and honored among forty individuals under the age of 40 whose accomplishments and commitment to the community identify them as the individuals to watch in the future of Rockland County. Since 1997, Scott has been developing a design/build division, which now stands alone as its own company- Curti & Associates, ltd., offers increasingly extensive landscape design and construction services. Scott finds that it has been extremely fulfilling- although slightly tougher, to grow than the Grounds Maintenance company. In recent years, opportunities in Construction have presented themselves through doors opened while growing Curti & Associates, ltd. Scott describes these endeavors as "most enjoyable and successful". He likes to call Curti's Landscaping his roots (which one should never forget), Curti & Associates his trunk (sturdy) and the construction projects his branches (where new growth takes place). Each relies on the other so Scott is quite happy to manage them all day-to-day. With a degree in Horticulture and a major in Landscape Design, Bill has spent 47 years in the landscape industry. It is safe to say he is seasoned in landscape installation management and oversight. Prior to founding a landscape design project management company of his own, Bill's tenure included working for several landscape design/build firms in New Jersey as lead designer, and estimator. It is during this time that Bill honed his exceptional ability to draft and create his first class Award winning designs that produce functional and aesthetically beautiful extensions of the outdoor living spaces of his clients. Bill is CNLP(Certified Nursery Landscape Professional) in the state of New Jersey since 1988. Bringing together his knowledge of horticulture, design and construction, Bill officially joined the Curti team full time in 2017. This endeavor came quite naturally after consulting, designing and working together for over 10 years, behind it is the unifying mission to deliver elegantly styled landscapes. Bill works extremely well with various customers, personalities, styles and budgets. Gavin started landscaping at the young age of 18 years old, working for a company as a crew leader. He quickly excelled in that company which jump started his own lawn and landscaping business 3 years later. He built his company on the foundation of his dedication, hard work, and loyalty to his customers. In March 2015, Gavin merged his landscape company with Curti’s Landscaping, bringing his 33 years of lawn and landscape construction experience as our Lawn and Landscape Client Account Manager for our residential and commercial clients. Many of his clients remain with him after the merge because of his in-depth knowledge and how comfortable they feel with him managing their properties. Gavin has transitioned to be a top-notch senior employee for Curti’s Landscaping. When he sells a job, he manages his crews and supervises the job from start to finish, ensuring his customers, new and old, are 100% satisfied with the job. David began working with Curti's Landscaping, Inc. in 2013 as a snow plow driver/operator. His performance, reliability and professionalism gained him much recognition. So when Curti & Associates, ltd. decided that it was time to seek a full-time project manager David and his skill-set came to mind. The fit was natural and in April 2015, David joined the Curti family full-time in his current position of Landscape Account Project Manager bringing with him over 30 years of landscaping and land development experience. David oversees our landscape design, construction and installation endeavors from our largest corporate accounts to our residential projects, from rooftop gardens to the front stoop of your home. With a desire and eye for perfection, he works with out clients to help bring our eye catching landscape designs and your outdoor living spaces to life! Richard's career in landscaping began with an old pickup truck, a lawnmower, and a small loan from his parents. Rich's competitive nature and strong work ethic came through early on. 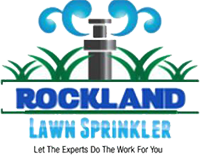 For thirty years Rich owned and operated Ultimate Landscaping and Construction, where he managed large and small maintenance, masonry and landscape construction projects for clients throughout Orange and Rockland Counties in New York and Bergen County in New Jersey. In 2013 Rich sold Ultimate Landscaping in order to focus solely on Business Development and client account management. Rich has experience working with clients from the everyday homeowner; to corporate giants, such as Stamford Hospital; to Conair; to the New York Giant's Training Facility; 1 Hotel in Brooklyn, NY; The Prudential Towers in downtown Newark, NJ which includes managing a fifty foot living green wall. Rich has the polish, skills and hands-on experience that give him a unique perspective, and the ability to work with customers of all shapes and sizes. Rich now joins Curti's in the aligned interest of client account management and business development with a concentration on crew productivity. David grew up in Nanuet, NY and after high school graduation, went on to study at Adelphi University and Marist College. His major interest was Biology, which he always excelled at and enjoyed. In addition to enjoying science, David always took and interest in working in the garden at home. Over summers during college, David was a counselor at a local Rockland County Camp. It was there that David credits learning to appreciate the outdoors and working as a team player with his peers, campers and parents. David has worked as an assistant manager at a local nursery where he learned to identify and care for plants, as well as working in all phases of general grounds maintenance and landscape construction. Customer service and client satisfaction are David's primary focus and goals. Frank has been at the helm of caring for the company's indispensable equipment and machinery since 2010. He is an expert in dealing with all types of engines, big and small. Frank is the 'go to' guy when it comes to anything with moving parts and then some. He has an unparalleled ability to make anything run optimally. Frank's role as an equipment technician is critically important to all of the crew's for both Curti's Landscaping Inc. and Curti & Associates, ltd. who rely heavily on him. He never fails his co-workers and does it all with a positive outlook and a smile. This team of ladies exemplifies personalized service. Our office and its operations are our front line for many aspects, especially customer service and communication. We are proud to be the premier fully functional, highly organized, easily accessible, and capable offices in the landscape industry in our area. Our office team can handle virtually any question posed or situation that arises regarding your project or account. You will always get a live person who is ready and willing to help you when you call or stop in.